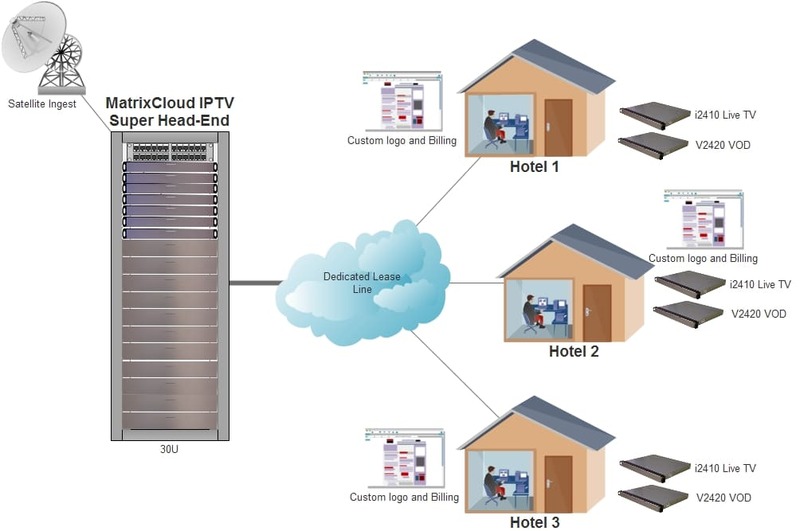 Hospitality IPTV Solution - MatrixStream Technologies, Inc. Customer is a luxury hotel that would like to offer HD videos to their visitors. Customer would like a state of the art IPTV solution that can show HD 1080i and 1080p VOD videos on 50″ HDTVs installed in all the luxury rooms. Customer has installed a wired IP network throughout the complex. Since customer’s current analog VOD system is limited to number of videos it can offer, customer would like to install an IPTV solution because it allows them to easily manage their video content library and offer a much greater range of video content. Customer would like to add several thousand hours of video to their VOD lineup to generate additional VOD revenue. In addition, customer would like to stream all of the broadcast TV channels to each room via the IP network. 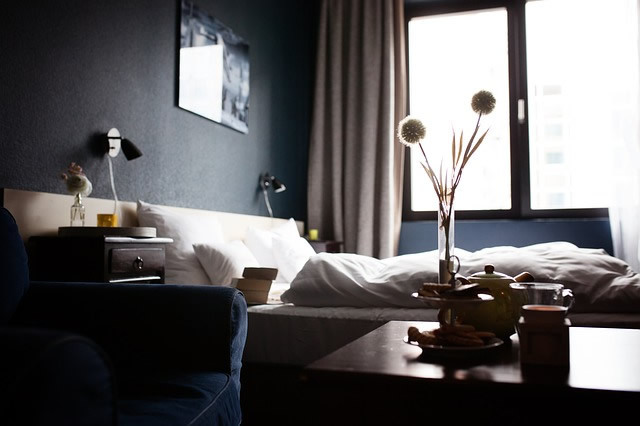 Number of Visitors – Customer’s hotel can hold maximum of 1,000 visitors. Customer expect maximum 100% occupancy during certain months of the year when there are tradeshows in town. HD Video – Customer would like to offer HD 1080i and 1080p video content to premium customers. Streaming Over the IP without QoS – Customer’s IP network does not support QoS. However, customer has install 100 Mbps Ethernet to each room. Customer would like an IPTV system that can do streaming over this network. HD 1080p and 1080i Videos – IPTV system must support HD 1080p and HD 1080i videos. Customer plans to offer 1,000 hours of HD content via IPTV’s VOD system. Video On 50″ HDTV – Customer has installed 50″ 1080p HDTVs in all the premium rooms. Customer would like to offer 1080i and 1080p HD videos to those rooms on demand. 50 IMX e4010 Video Encoders – One for each broadcast TV channel. 2 IMX i2410 live TV MatrixCast Streaming servers – Each server can support up 1,000 streams. 2nd IMX i2410 also acts as redundant streaming server. 2 IMX v2420 VOD MatrixCast Streaming servers – Both IMX v2420 will support both SD and HD streaming right over customer’s current IP network. 1,000 MX 3 IP STBs – Fully able to support HD 1080p videos. Students can hook up MX 1 IP STB to their HDTV at home to watch class videos.